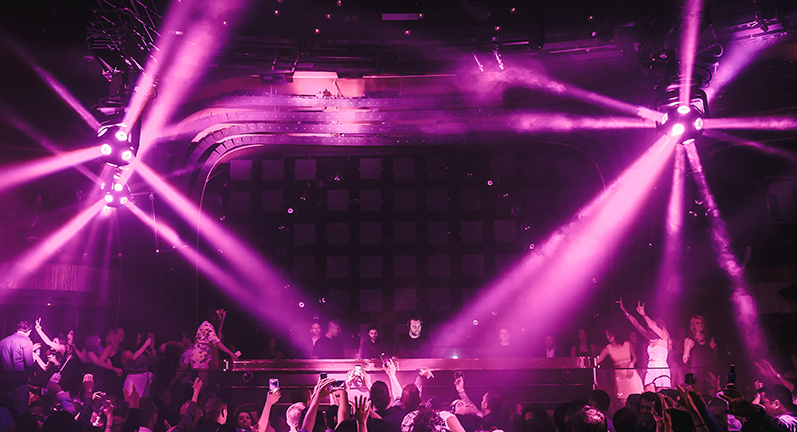 Hakkasan Group’s JEWEL nightclub, which opened in May 2016 at Las Vegas’ prestigious Aria Resort & Casino, has provided a major new playground for Ayrton lighting fixtures. Along with Ayrton MagicDot™-R and CosmoPix™-R fixtures, JEWEL is also one of the first installations to use Ayrton’s new DreamPanel™-Twin. Based in one of Las Vegas’ newest and most elite hotels, JEWEL is the latest of Hakkasan Group’s clubs. Built to replace the existing HAZE nightclub – which, opening in 2009, was in need of bringing into the 21st century – JEWEL has been designed to re-attract guests from among the hotel’s elite resident clientele and across Vegas. The design intent behind JEWEL was to create an environment that gives guests a completely new, eye-opening experience, with visual effects that had never been seen before. Audiotek led the consultant-driven design with lighting and video conceived and specified by Frank Murray and Chris Kmiec, who worked in close collaboration with Hakkasan Group’s Video Director, Ed Shaw and Lighting Designer, Andy Taylor. It was installed by local integrators, NTA under the project management of Nevin Edwards. 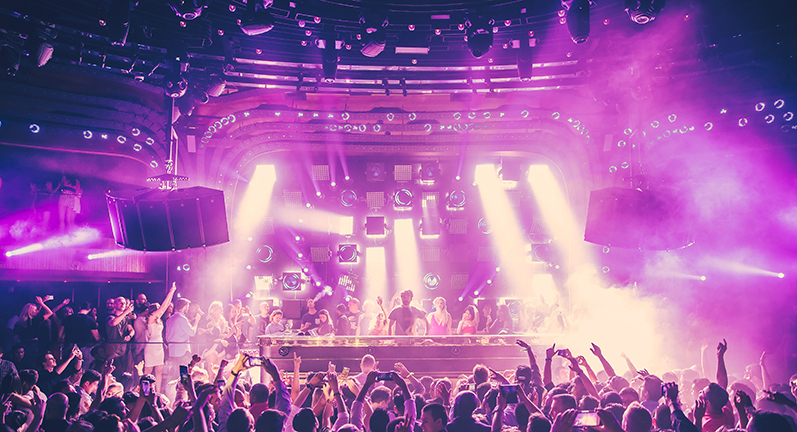 JEWEL is the third nightclub project for Audiotek with Hakkasan Group, having previously designed the Hakkasan at MGM Grand and OMNIA at Caesar’s Palace. Audiotek was determined to create something completely different for JEWEL that would continue to reflect Hakkasan Group’s reputation for opulence and quality and meet the high expectations of Aria’s top-end clientele. It was while looking for this special ingredient that Kmiec and Murray discovered Ayrton’s new DreamPanel™-Twin at Prolight & Sound in Frankfurt in 2015 and realised this dynamic panel was the ideal solution with which to create a truly unique design. With a modified MagicPanel™ of 64 LED emitters on one face, and a high resolution DreamPanel™ video screen on the other, DreamPanel-Twin combines video and lighting capabilities into one fixture, with the added with capacity of the continuous pan and tilt movement that is a feature of Ayrton fixtures. This enabled Kmiec and Murray to devise a totally new concept of a kinetic feature wall behind the DJ booth which would be the focal point at the centre of the club’s design. Composed of 54 DreamPanel-Twin units in a 9-wide by 6-tall array, the wall could not only act as a surface for video content, but also make use of DreamPanel-Twin’s LED matrix side to run effects, act as low resolution video surface and even backlight the DJ – none of which would be possible with a standard video wall. Add to this the ability to alternate between the DreamPanel-Twin’s two sides, and with the exciting addition of continuous dynamic movement, and Kmiec and Murray had found the format that would give JEWEL its signature look, in a similar way to the moving chandelier at OMNIA. 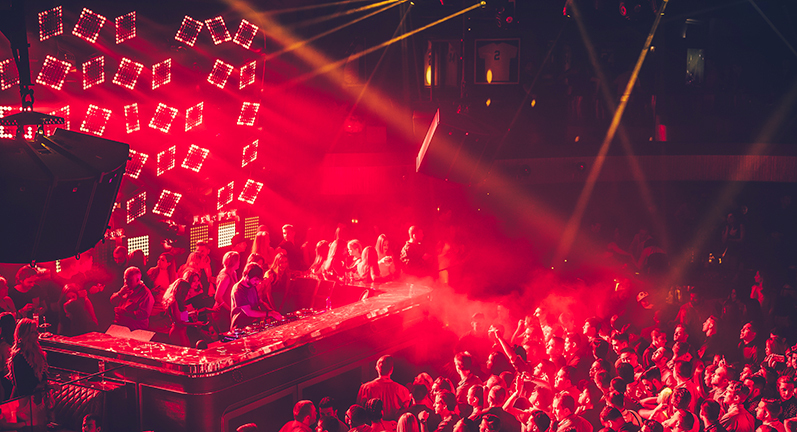 Kmiec and his colleagues at Audiotek were familiar with Ayrton and its products, having used Ayrton MagicPanel™-R and MagicBlade™-R lighting fixtures as key components in their design for OMNIA in March 2015. Custom video content, created specifically for the shape and size of the DreamPanel-Twin wall, and designed to run on both video and LED matrix surfaces, was provided by production company, Ne1co, in conjunction with Hakkasan Group’s Video Director, Ed Shaw. The wall of DreamPanel-Twin fixtures is interspersed with 22 Ayrton MagicDot™-R fixtures which are rigged in two vertical curved arcs around the centre, reminiscent of the iris of an eye and echoing the club’s high domed ceiling above. Five more MagicDot-R units flank either side of the DreamPanel-Twin wall. The MagicDot-R fixtures are rigged on custom-made telescopic brackets which bring them flush with the DreamPanel-Twin fixtures to optimise their effect within the set up. MagicDot™-R uses a 60W RGBW multichip LED with new, high-efficiency 94mm optics and a single optical collimator to deliver an intense 4.5° beam and a palette of rich saturated and pastel colours. It has a totally round head which fits within the diameter of its cylindrical base in all positions and smooth, lighting fast movement in both continuous pan and tilt rotations. “We chose the MagicDot-Rs because of their speed, small size and sharply defined beam,” says Kmiec, “and because they produce effects which are superior to any other product”. Sixteen more MagicDot-R units are mounted around the balcony edge to add to the midair effects and work in conjunction with the overhead rig, not the least of which is 6 Ayrton CosmoPix™-R fixtures suspended from the ceiling. CosmoPix-R is based on the concept of the famous PAR36 double-rotation spheres that date back to the early ‘80s, which Ayrton has revamped using totally new technology. CosmoPix-R uses 12 of Ayrton’s 94mm optics – the same as those used in MagicDot-R – and generates 12 shafts of coloured light that can be separately controlled in all directions and driven in continuous pan and tilt rotation. JEWEL’s CosmoPix-R units are employed as the major feature of the central lighting rig and reaffirm the concept of dynamic movement which has become signature to the Hakkasan brand. The CosmoPix-R are mounted on DMX-controlled Desisti pantographs and dropped in and out of the ceiling above the heads of the crowd to create interest at different levels. The programming of JEWEL’s high-octane show was carried out by Audiotek’s Andy Taylor who directed Ayrton’s Arnaud Pierrel, – the man responsible for the stunning programming of Ayrton’s famous demo videos – and Avolites console officianado, Tim Hornung. The result is an 8-hour show full of content and movement operated by Jorge Tellez, JEWEL’s in-house lighting operator. Ayrton DreamPanel™Twin, CosmoPix-R and MagicDot-R add sparkle to Hakkasan Group’s JEWEL nightclub at Aria Resorts & Casino, Las Vegas.